Bay Area cookbook author and blogger Nik Sharma brings his whole multicultural life into the kitchen. 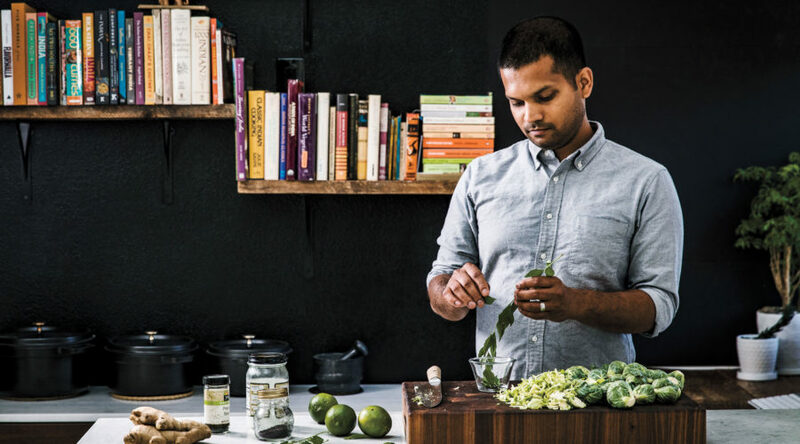 Born and raised in India, he worked as a molecular geneticist in Washington, D.C., before moving to Northern California and devoting himself to cooking and food photography. 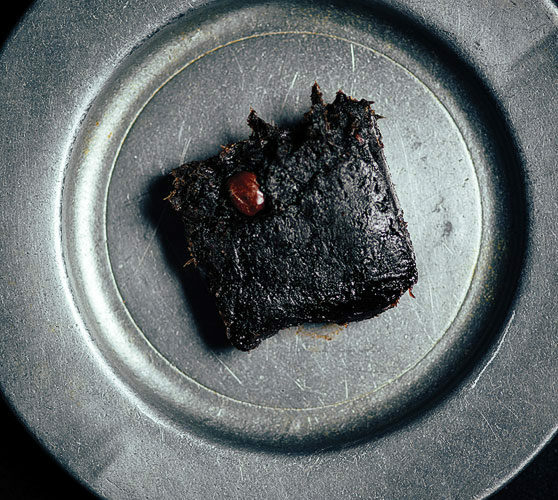 Through his blog, ; a weekly San Francisco Chronicle column about home cooking; and now his first solo cookbook, , he invites readers to experiment with a dazzling array of ingredients in very doable ways. Here you’ll find familiar Western favorites—roast lamb, Brussels sprouts, spice cake—but with intriguing twists that open up a new world of tastes. 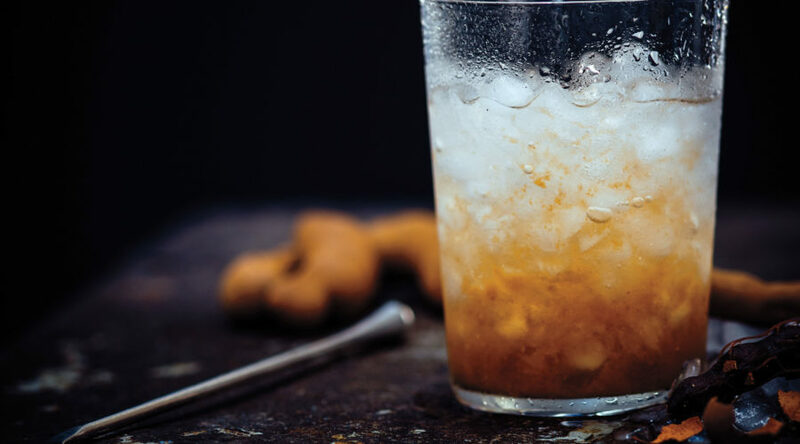 About this thirst-quenching sparkling drink, adapted from his 2018 book Season: Big Flavors, Beautiful Food (Chronicle Books), Sharma says: “While it is not uncommon in India to find fresh ginger blended into limeades, lemonades, and fresh sugarcane juice, it also pairs nicely with tamarind.” You can find tamarind in the pod (it looks a little like a dried bean pod, with delicious prune-like flesh underneath the crackly exterior) at Indian and Mexican grocery stores—as well as the pulp, often sold shrink-wrapped in blocks. 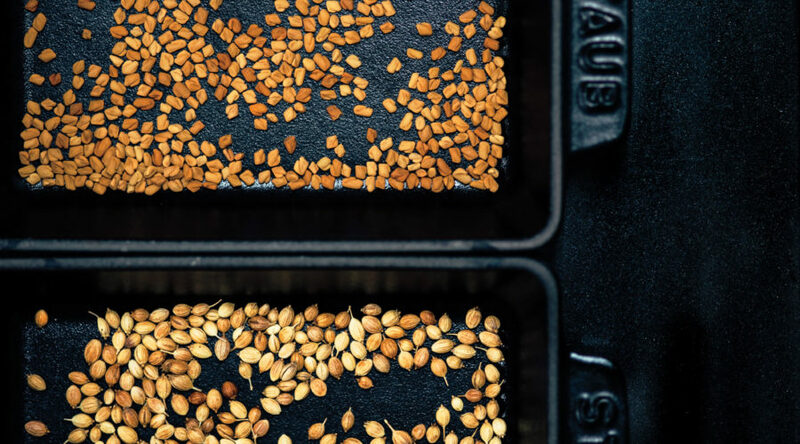 The pulp usually contains large seeds that you will need to remove by soaking and straining. Avoid concentrates. They’re more convenient because they don’t have seeds, but don’t taste nearly as fresh. “We have two ridiculously tall coconut trees in the garden of our apartment complex in Bombay,” says Nik. “My parents usually hire men to climb up the trees and cut off the fresh coconuts when they’re ripe. 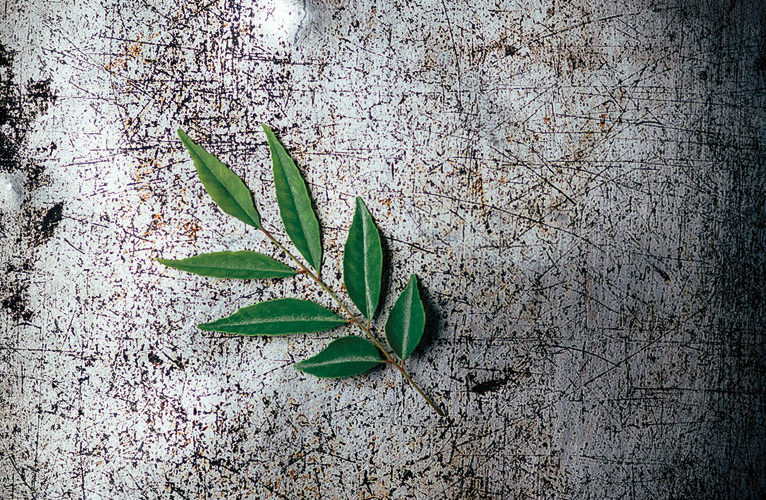 The harvest is shared among neighbors, friends, and family, who put them to good use. 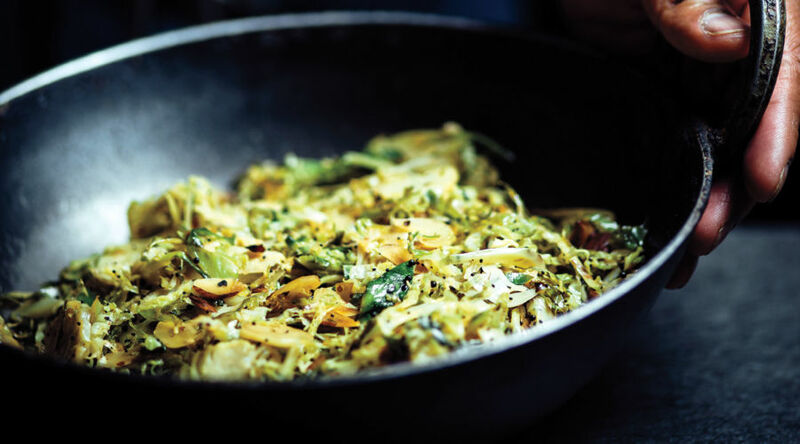 Here I’ve seasoned Brussels sprouts with spices tempered in fragrant coconut oil to introduce a hint of warm, tropical nuttiness.” Be sure your mustard seeds are fresh; they get bitter when they’re old (pop a few in hot oil before using, let cool, and taste). “Two of the most popular sources of protein in Indian cuisine are goat or lamb (mutton) and dal (an umbrella term for split lentils, peas, and beans),” says Nik. “So it’s no surprise that lamb and lentils appear together in dishes across India. 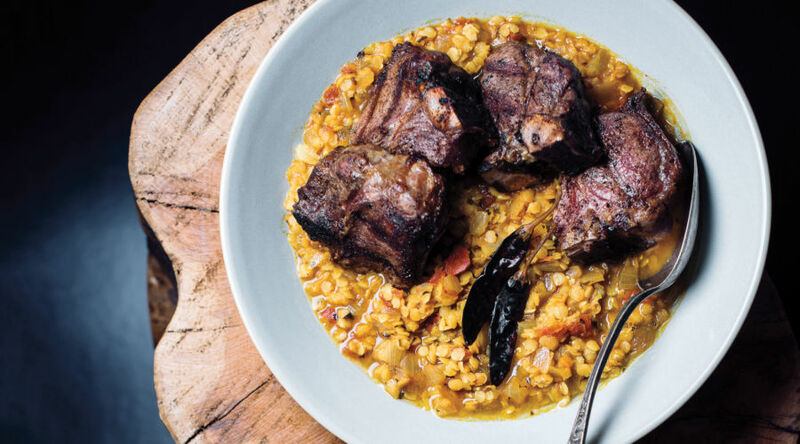 Inspired by tradition, I created this dish of lamb chops served over a spiced stew of red lentils. 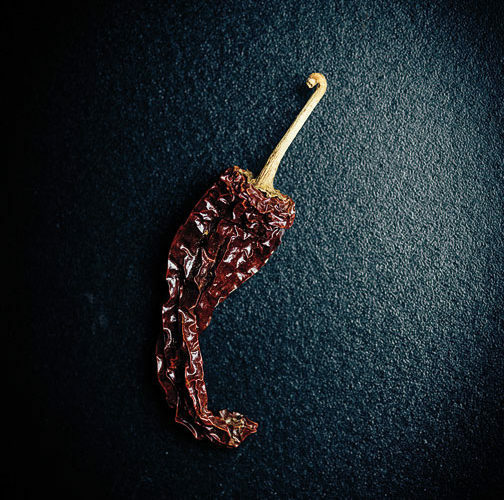 A bowl of plain rice is the ideal accompaniment.” Find Kashmiri chiles, which impart a vivid red hue and mild heat to food, in Indian grocery stores or online. 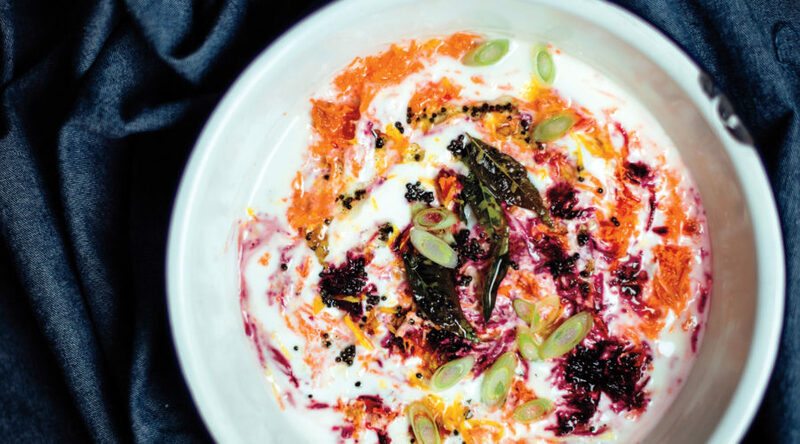 “Raita is the original savory yogurt bowl, and in India, it functions as a salad or a condiment,” says Sharma. “Throughout my youth, my parents used to serve chilled bowls of fresh, creamy yogurt with cucumbers, carrots, beets, or even smashed boiled potatoes folded in, for a salad with plenty of texture and character. It was always one of my favorite parts of the meal. This raita celebrates the different colors of root vegetables, and can be enjoyed either as a main course (with rice or flatbreads) or as a side.” Be sure your mustard seeds are fresh; they get bitter when they’re old (pop a few in hot oil before using, let cool, and taste). Find them, as well as fresh curry leaves, at Indian grocery stores or online. 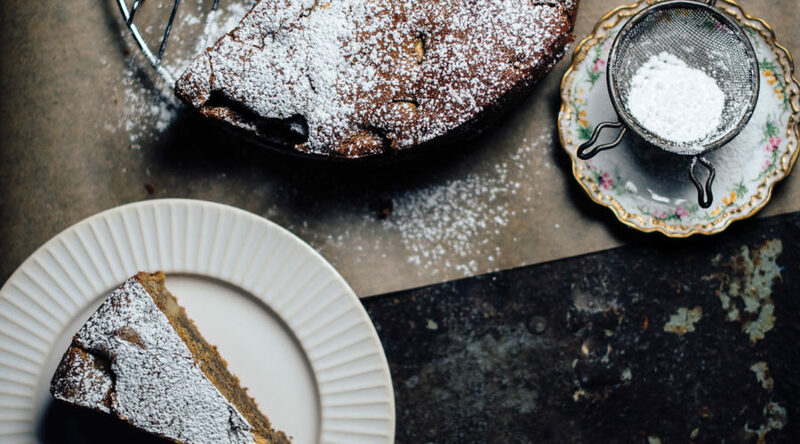 For this rustic, not-too-sweet cake, Sharma grinds Darjeeling tea leaves into the flour. It is excellent served with sweet, milky cups of actual chai. You can buy chai masala (tea spice mix) at Indian grocery stores, or make your own. GRINDING breaks down the structure of a spice and releases the flavor. I use a sturdy mortar and pestle to grind most dry and wet ingredients. To get a fine powder, add a small quantity of an abrasive, such as salt or sugar. BRUISING AND CHOPPING herbs and spices before using helps release their flavor. For garlic or cardamom pods, I rub the outside with the flat of a knife, just enough to open them up. a good way to revive dried spices that have been sitting in your pantry for a while). Heat a dry skillet over medium-high heat, add the spice, and toast, swirling. Be vigilant: The darker the spice, the faster it absorbs heat, which is why black peppercorns burn faster than coriander seeds. As soon as you start to smell the spice, transfer it to a plate to cool. You can then grind it or use it whole. TEMPERING (tadka in Hindi) is another form of toasting in which a spice or other seasoning is crisped in hot fat, such as coconut oil. The flavored oil and seasoning are then drizzled over the dish. All these ingredients can be found at Indian markets or online; many of them are at well-stocked mainstream grocery stores too. Each one will add intrigue and possibilities to your pantry. Once you’ve tried a few in the recipes here, experiment by adding them to similar dishes already in your repertoire. 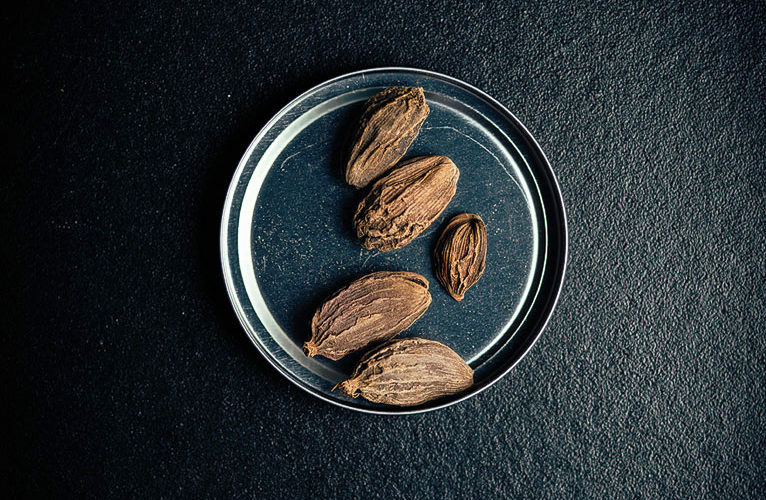 Black cardamom pods, although related to green cardamom, are larger and dried over open flames, which gives them a woody, resinous aroma. As with green cardamom, both pod and seeds are edible and used in sweet as well as savory dishes. These have a pleasant fragrance, especially when fresh. I grind them into sauces and marinades or temper them in hot oil to release their aroma. This contains large seeds that you will need to remove by soaking and straining. Avoid concentrates, which are more convenient because they don’t have seeds—but they don’t taste nearly as fresh. These are used to impart a bright red color to many Indian dishes, such as tandoori chicken, yet are quite mild. The tiny black spheres are aromatic and pungent. Larger and more widely available reddish-brown ones (not shown) are slightly less flavorful, while yellow seeds are very mild. The key is to pick fresh ones; old mustard is bitter (test a few by popping in hot oil, then cool and taste). 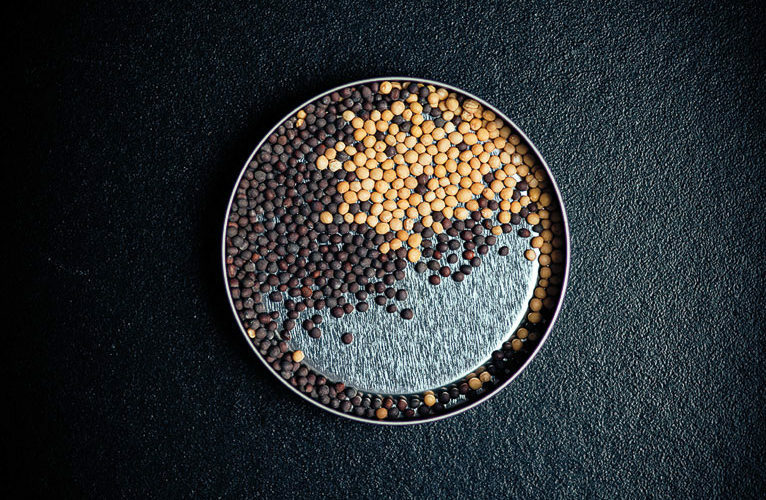 I prefer black mustard seeds for cooking and yellow ones for pickling. 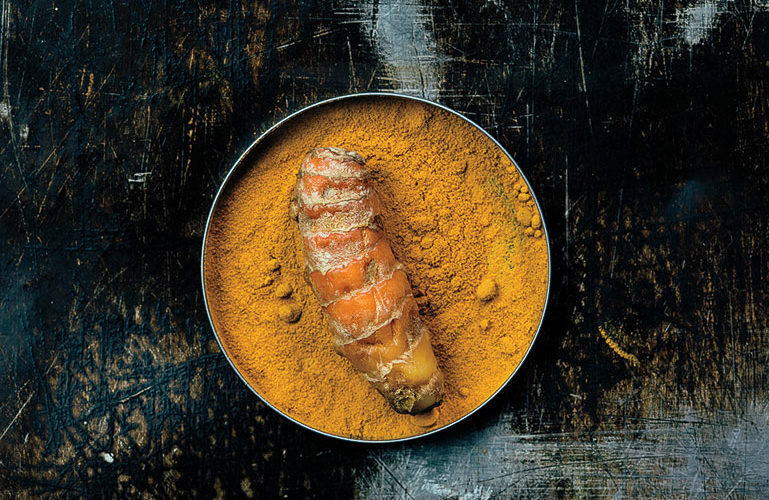 Turmeric, like ginger, is a rhizome, or underground stem. It’s sold fresh, but the ground form in the spice aisle is more common in America. It adds a gorgeous yellow color to curries, soups, and stews.